DAVID LE/Staff photo. 6/22/15. 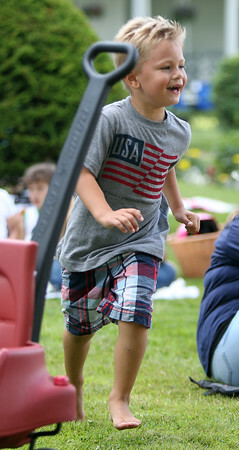 Four-year-old Raymond McCarthy laughs while being chased around during a game of tag at the Danvers Family Festival event History, Harmony, and Hot Dogs, held at Glen Magna Farms on Monday evening.